English students blogged about the literary landmarks around the University. On the outside it may seem vibrant, busy, and full of architectural integrity. But on the inside, the smell of blood and the dark passages take you back to olden times where life was quite different. Smithfield is quite unlike any other market I have visited in London - although it may not be your top choice for market buys, it made the perfect scene for a photograph, and I immediately became overwhelmed with nostalgia after looking upon it for the first time, as if I had once been part of its history. 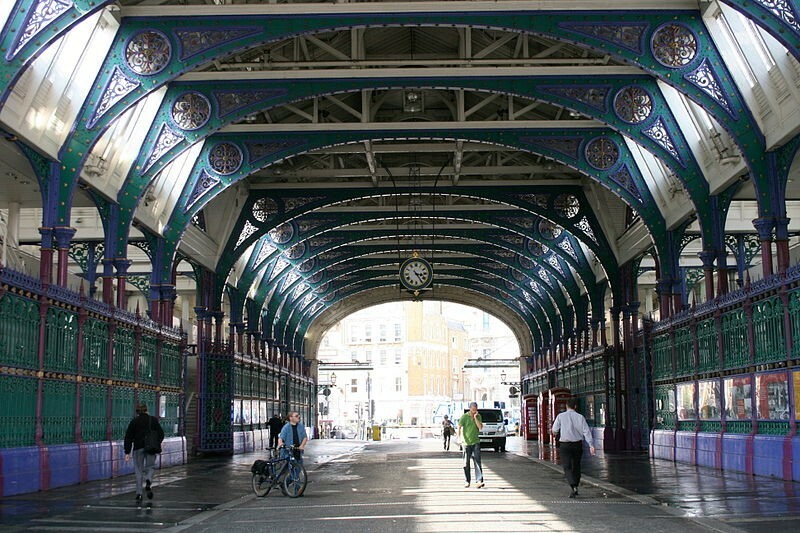 Smithfield's Meat Market dates from the 10th Century, and is now London's only remaining wholesale market in continuous operation since medieval times. Its external beauty is deceiving - this market bore witness to the horrors of The Peasant's Revolt, and its leader's execution. Where hundreds of people now rush to work and school, people were once struck, beaten down, executed and murdered. Being a former art student, I like it best for its design and symmetry - "a real work of art," I thought to myself as I studied its framework, structure and form. It stands out among its mundane neighbouring buildings, and even though its past is dark, the outside leaves scope for imagination. One of the places that we visited on the discover Clerkenwell Walk was Charterhouse Square. It is now a place where people visit to step away from the usual hustle and bustle of London, but it is also an area with a great amount of history. Although the Charterhouse Square has an air of tranquillity, it was once the largest mass grave in London during the time of the Black Death, giving an eerie vibe to something that seems so calm on the surface. The square also appears in fiction, Florin Court was used as the home of Hercules Poirot in the TV adaptation of Agatha Christie's Poirot. It was mentioned that people sometimes visit the square dressed in Poirot inspired attire. 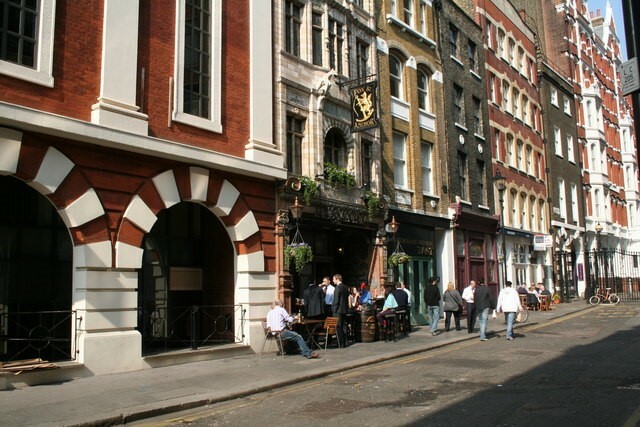 Whilst on the Clerkenwell walk, David mentioned a 'ghost story' which involved a young girl who lived above a wife and husband, in which the wife mysteriously died. The young girl accused the husband of murdering his wife as she spoke of a tapping noise against her door where the ghost of the dead woman appeared in her dream implying that she was poisoned by her husband. The husband was accused, but was found not guilty of murdering his wife. But a century later in the Victorian period, the crypt of the dead woman was found and the dream the young girl had was actually true as she died of arsenic poisoning. After struggling to find the group but finally succeeding – curse my inability to talk to people; being introverted will be the death of me - we set off on a walk that would soon render my legs useless but my fascination with literature increasing exponentially. 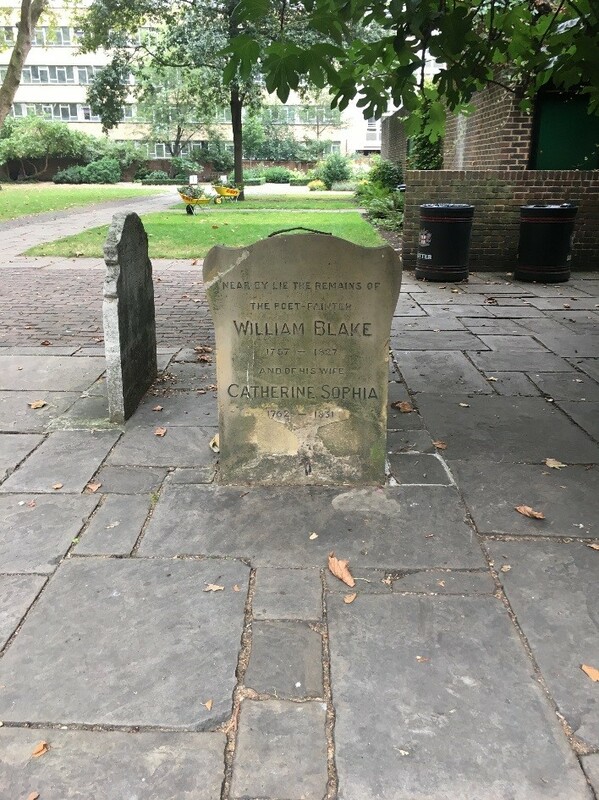 I had the opportunity to visit the location of the William Blake's gravestone; as much as I conceal my love for romanticism, seeing the headstone reading "nearby lie the remains of William Blake and his wife Catherine Sophia" I felt an odd sense of admiration I didn't think I would experience at City. I have been intrigued by Blake's poetry after mishearing the homework in a year eight English lesson ('Read up on William Years and compile notes'). My troubled inability to hear would soon result in me exploring The Tyger, The Lamb, A Poison Tree - and discovering that his rejection of political beliefs and ability to explore emotions so vividly in word helped me envision a style of my own.